In this final installment of the prescription drugs blog series, I will be discussing another government strategy to tackling the high prices of prescription drugs: promoting market competition by reducing the barriers of entry for generic drugs. In the case of Prozac®, the cost of a 30 day supply was $1,713.32 whereas the cost of the generic was $21.60 according to 2015 data from BCBSM. What makes a generic so much cheaper? Generic drug makers do not have to spend nearly as much on creating the drug and undergoing clinical trials or marketing and advertising. Marketing and advertising often cost more than the research and development process for a drug.3 Consider that in 2013, Johnson and Johnson spent more than double on marketing and advertising than on researching the drug which cost $8.2 billion.4 In regards to researching the drug, generic companies are required to wait until the patent on the drug expires, after which they are allowed to acquire information regarding the active ingredient. 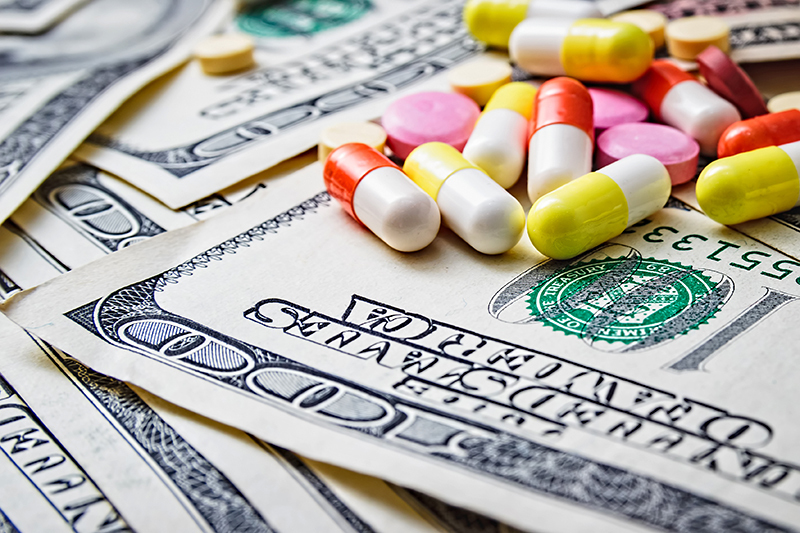 Some members of Congress aim to bring down pharmaceutical drug costs by increasing market competition for drugs by decreasing the barriers that generic companies may face. One such attempt is the Making Pharmaceutical Markets More Competitive Act (S. 1115) which would require the FDA to expedite the review process for drugs that are in shortage and for which there are up to three approved drugs.5 This bill is specifically targeting the issue in which brand drugs hike their prices as soon as they go off patent, mostly because there are few or no other competitors and because pharmaceutical companies are allowed set their prices as they wish.6 These price hikes are often done at the expense of public health. By ensuring that there is adequate (as defined by the Congressperson) competition, the bill should increase the availability of a drug at a fair price even if the branded drug goes off-patent.